The Blue Mountains Conservation Society is proposing these additions to the Blue Mountains National Park. This would require an assessment by the National Parks and Wildlife Service (NPWS) to determine whether to acquire them and add them to the Blue Mountains National Park. It is important to note that acquisition by the NPWS of privately held land to add to the national park system is via negotiation. Privately held land is not compulsorily acquired for addition to the national park system. The inclusion of these areas into the Blue Mountains National Park will protect areas of conservation significance which have threatened species, geological features and/or aboriginal heritage. Each of the areas either consolidate or rationalise existing National Park boundaries to improve management for conservation. Most have increasing recreational use, requiring active management to avoid degradation. The West Glenbrook site borders Glenbrook Creek and the popular swimming hole, the Blue Pool. It supports a relatively undisturbed and biodiverse area of the Critically Endangered Shale Sandstone Transition Forest. 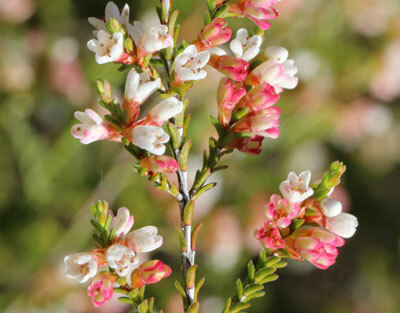 The floristic abundance of its sandstone fringes and escarpments includes unusual and rare flora species. It is a place of Aboriginal cultural significance. Increase the resources and expertise allocated to manage other current issues that include weed and feral animal control, the intrusion of residential activities and fire hazard reduction. Here's a map of West Glenbrook. Here's the NPWS Strategic Additions Summary for West Glenbrook. From the heaths of the plateau to the Blue Gum forest of the deepest valley this land supports a great diversity of life forms. 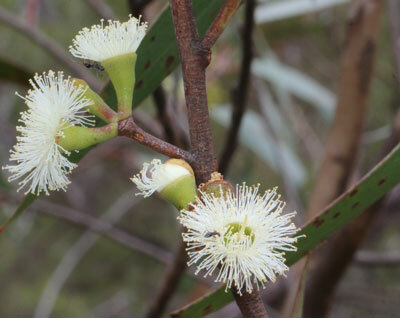 It is a critical site for the rare Faulconbridge Mallee Ash (Eucalyptus burgessiana) and provides habitat for a range of threatened species. It is a place of significant Aboriginal cultural heritage. Here's a map of Faulconbridge Mallee Ridge. Here's the NPWS Strategic Additions Summary for Faulconbridge Mallee Ridge. Kings Tableland natural areas are a mosaic of heath and woodland communities and a major feeding location for bird life from autumn to spring. 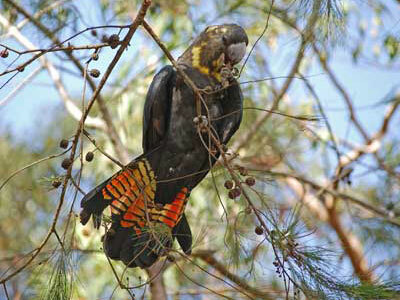 The Glossy Black-Cockatoo is species-dependent, relying heavily on the Allocasuarina distyla (Scrub She-oak) growing here as a major food source. The annual Honeyeater migration regularly pauses here for food and rest in April & May, returning throughout Spring each year. Butterflies migrate in huge numbers during October & November, feeding on the many white-flowering species present. Significantly reduce the size of the present inholding, meaning the boundary length requiring maintenance would be reduced from current ~13.75 Km to under 4Km (1.8 + 1.6). The area of inholding would reduce from ~380 ha to under 40 ha (in two lots). Protect Aboriginal heritage likely existing here. Enhance the existing National Park through the large number of swamps present within this property. Better manage the water resources from the Queen Victoria Creek flowing from the property directly to the Nepean/Hawkesbury River system and the through the Jamieson Creek/Kedumba River system to Sydney drinking water supply. Normalise the current bushwalking activities, which can be seen as trespassing on private property. Allow vehicle access to be more easily regulated, reducing many of the threatening processes outlined above. Here's a map of Kings Tableland. Here's the NPWS Strategic Additions Summary for Kings Tableland. This proposal is to give protection to lands surrounding the watercourses and swamps which flow into Govetts Creek. The Govetts Creek sub-catchment is critical for the protection of the Grose River system and Wilderness Area located within the Greater Blue Mountains World Heritage Area. It will provide a continuous corridor of protected natural areas by linking the isolated section of National Park around Cascade Dam to the main area of the existing National Park and the Minnehaha Falls Crown Reserve. These missing lands along Govetts Creek are also important for the endangered Blue Mountains Swamps they each contain. Logically re-align National Park boundaries by eliminating some virtual inholdings, improving boundaries for management of the existing national park, and consolidate the area of the Blue Mountains World Heritage Area. Provide more adequate buffers to the public reserves from adjoining urban land uses, in particular for some protection against weeds. 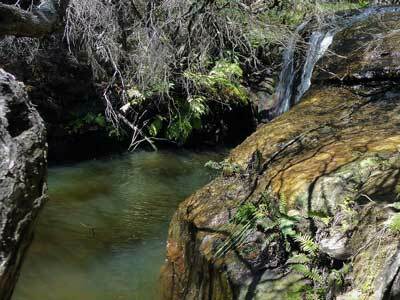 Allow for the better management of the Katoomba and Govetts Creek watercourses and hence the Grose River. Provide more protection for the threatened Blue Mountains Swamps and the endangered species living within them; viz Eulamprus leuraensis and Petalura gigantean; and for Epacris hamiltonii, which is restricted to small rock overhang sites above the creeklines. Here's a map of the Govetts Creek Catchment. Here's the NPWS Strategic Additions Summary for Govetts Creek Catchment. Radiata Plateau (also known as Elphinstone) is the last remaining undeveloped peninsula-plateau in the upper Blue Mountains and is famed for its dramatic escarpment and stunning views along the southern escarpment. Here's a map of Radiata Plateau. For more information go to our Leave Radiata Plateau Wild webpage.